Pros: Smart, well-written, and extremely well-acted. Cons: Elements around life and afterlife aren’t always clear, and some familiarity with the story is helpful. A visually stunning portrait of the life of a brave and endearing woman. 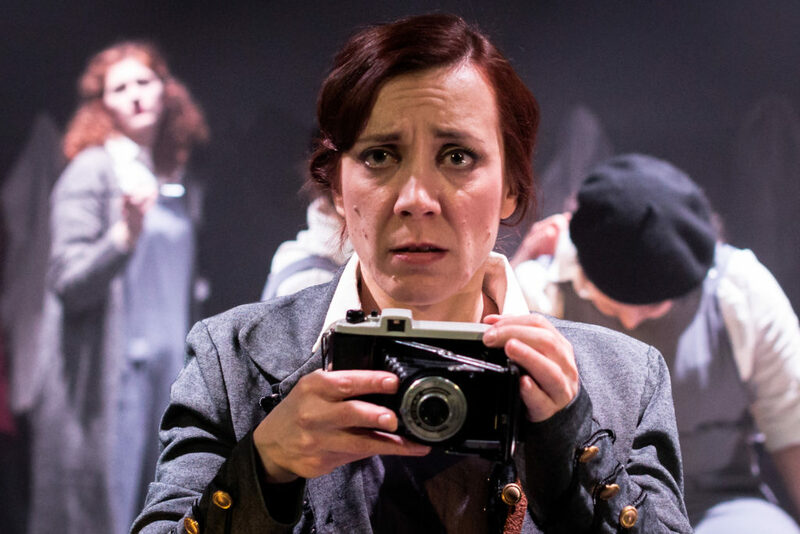 This is an energetic and enjoyable production which looks at the true life story of Gerda Taro, the first female photographer killed in action. Taro was a force of nature and she’s brought to life wonderfully in this production. Born Gerta Pohorylle (a Jewish woman in Stuttgart pre-second world war), she moved to Paris in the midst of rising anti-semitism and the Europe-wide refugee crisis. She met Hungarian photographer Endre Friedmann, and together they created world-famous photographer Robert Capa. Their business grew, and friendship turned to love as they traveled a content in crisis to photograph the Spanish Civil War. this phenomenal forward-facing woman, and the challenges that face her. 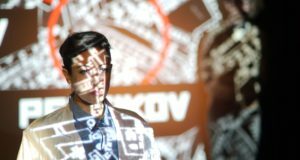 Tom Hartill is charming as Friedmann, and Alex Stevens as “Chim” is such a surprise, as his role grows, for the fond devotion he brings into the production. There are moments in the performance which are simply beautiful. 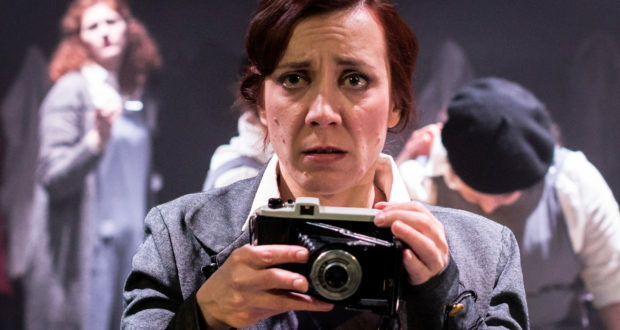 There is strong use of light to capture image, a tremendously clever visualisation in a play about a photographer, and the choreography of the actors is enough reason, on its own, to purchase a ticket to this show. 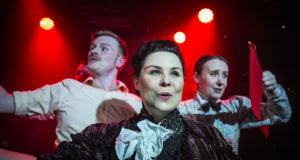 The movement of a collective of actors is fantastic in bringing to life a sense of atmosphere and public feeling – whether it’s scary, jovial, or brave. Everyone is so well coordinated, and the cohesive moments slow down, speed up or, again, capture a breath-taking snapshot in time. There are some areas which are a little less accessible. 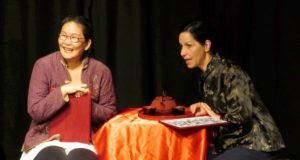 Some of the performance does rely on you having some familiarity with Taro’s real-life story – and this does leave holes for audience members who are relying on the 95+ minute production to provide all the information we need in order to enjoy it. The concept of having Greta Garbo (a really funny and talented Beatrice Vincent) as narrator for Taro’s life story and the force behind bringing her earthly memories to life feels a little confusing as a concept, if you’re not familiar with Taro’s idolisation of Garbo. It does, however, bring so many wonderful and enjoyable lines into the fray. There’s a lot of value in this production. There are triumphs for bravery, for determination, and for friendship, but there’s also longing, grief, and lost love. Gerda’s story is one worth telling, and equally, one worth seeing, particularly in this beautiful performance.